This paper is dedicated to present static behaviour of Reddy-Bickford laminated composite and sandwich beams subjected to various sets of boundary conditions which are simply supported (SS), clamped-simply supported (CS), clamped-clamped (CC) and clamped-free (CF) by using Ritz method. An analytical solution based on polynomial series including auixiliary functions which are used to satisfy the boundary conditions is developed to solve the studied problem. The polynomial shape functions for axial, transverse deflections and the rotation of the cross-section are presented. The validation and convergence studies are performed by solving symmetric and anti-symmetric cross-ply composite beam problems with various boundary conditions and aspect ratios. The numerical results in terms of mid-span deflections, axial and shear stresses are obtained to make comparison with previous studies and to investigate the accuracy of the present study. The effects of fiber angle, lay-up and aspect ratio on displacements and stresses are studied. The static response of the various laminated composite sandwich structures which have symmetric lay-up based on the various boundary conditions, fiber angles and thickness ratios is also studied. It is found that the polynomial series with auxiliary functions can be used for the static analysis of the composite and sandwich beams via Ritz method. Nguyen TK, Nguyen ND, Vo TP, Thai HT. Trigono-metric-series solution for analysis of laminated composite beams. Compos Struct 2017; 160:142-151. Timoshenko SP, Goodier JC. Theory of Elasticity. New York, NY, USA: McGraw-Hill Co. Inc., 1970. Wang CM, Reddy JN, Lee, KH, Shear Deformable Beams and Plates Relations with Classical Solutions. Oxford: Elsevier Science Ltd., 2000. Kant T, Manjunath BS. Refined theories for composite and sandwich beams with C0 finite elements. Comput Struct 1989; 33(3):755–764. Khdeir AA, Reddy JN. An exact solution for the ben-ding of thin and thick cross-ply laminated beams. Com-pos Struct 1997; 37(2):195–203. Soldatos KP, Watson P. A general theory for the accu-rate stress analysis of homogeneous and laminated com-posite beams. Int J Solids Struct 1997; 34(22): 2857–2885. Shi G, Lam KY, Tay TE. On efficient finite element modeling of composite beams and plates using higher-order theories and an accurate composite beam element. Compos Struct 1998; 41(2):159–165. Zenkour AM. Transverse shear and normal deforma-tion theory for bending analysis of laminated and sandwich elastic beams. Mechanics of Composite Materials & Structures 1999; 6(3): 267-283. Karama M, Afaq KS, Mistou S. Mechanical behaviour of laminated composite beam by the new multi-layered laminated composite structures model with transverse shear stress continuity. Int J Solids Struct 2003; 40(6):1525–1546. Murthy MVVS, Mahapatra DR, Badarinarayana K, Gopalakrishnan S. A refined higher order finite element for asymmetric composite beams. Compos Struct 2005; 67(1):27–35. Vidal P, Polit O. A family of sinus finite elements for the analysis of rectangular laminated beams. Compos Struct 2008; 84(1):56–72. Aguiar RM, Moleiro F, Soares CMM. Assessment of mixed and displacement-based models for static analysis of composite beams of different cross-sections. Compos Struct 2012; 94 (2):601–616. Nallim LG, Oller S, Onate E, Flores FG. A hierarchi-cal finite element for composite laminated beams using a refined zigzag theory. Compos Struct 2017; 163:168–184. Vo TP, Thai HT, Nguyen TK, Lanc D, Karamanli A. Flexural analysis of laminated composite and sandwich beams using a four-unknown shear and normal deformation theory. Compos Struct 2017; 176:388-397. Yuan FG, Miller RE. A higher order finite element for laminated beams. Compos Struct 1990;14(2):125–50. Yu H. A higher-order finite element for analysis of composite laminated structures. Compos Struct 1994;28(4):375–83. Chandrashekhara K, Bangera K. Free vibration of composite beams using a refined shear flexible beam element. Comput Struct 1992;43(4):719–27. Marur S, Kant T. Free vibration analysis of fiber reinforced composite beams using higher order theories and finite element modelling. J Sound Vib 1996;194(3):337–51. Karama M, Harb BA, Mistou S, Caperaa S. Bending, buckling and free vibration of laminated composite with a transverse shear stress continuity model. Compos B Eng 1998;29(3):223–34. Shi G, Lam K, Tay T. On efficient finite element modeling of composite beams and plates using higher-order theories and an accurate composite beam element. Compos Struct 1998;41(2):159–65. Shi G, Lam K. Finite element vibration analysis of composite beams based on higher-order beam theory. J Sound Vib 1999;219(4):707–21. Murthy M, Mahapatra DR, Badarinarayana K, Gopa-lakrishnan S. A refined higher order finite element for asymmetric composite beams. Compos Struct 2005;67(1):27–35. Subramanian P. Dynamic analysis of laminated composite beams using higher order theories and finite elements. Compos Struct 2006;73(3):342–53. Vidal P, Polit O. A family of sinus finite elements for the analysis of rectangular laminated beams. Compos Struct 2008;84(1):56–72. Vo TP, Thai H-T. Static behavior of composite beams using various refined shear deformation theories. Compos Struct 2012;94(8):2513–22. Vo TP, Thai H-T. Vibration and buckling of composite beams using refined shear deformation theory. Int J Mech Sci 2012;62(1):67–76. Mantari J, Canales F. Finite element formulation of laminated beams with capability to model the thickness expansion. Compos B Eng 2016;101:107–15. Li J, Wu Z, Kong X, Li X, Wu W. Comparison of various shear deformation theories for free vibration of laminated composite beams with general lay-ups. Com-pos Struct 2014;108:767–78. Ferreira AJM, Roque CMC, Martins PALS. Radial basis functions and higher order shear deformation theories in the analysis of laminated composite beams and plates. Compos Struct 2004; 66:287-293. Ferreira AJM. Thick composite beam analysis using a global meshless approximation based on radial basis functions. Mech Adv Mater Struct 2003;10:271–84. Roque CMC, Fidalgo DS, Ferreira AJM, Reddy JN. A study of a microstructure dependent composite lamina-ted Timoshenko beam using a modified couple stress theory and a meshless method. Compos Struct 2013; 96:532-537. Liew KM, Lim HK, Tan MJ, He XQ. Analysis of lami-nated composite beams and plates with piezoelectric patches using the element-free Galerkin method. Computational Mechanics 2002; 29:486-497. Karamanli, A. Flexure Analysis of Laminated Com-posite and Sandwich Beams Using Timoshenko Beam Theory. (Submitted for publication). Matsunaga H. Vibration and buckling of multilaye-red composite beams according to higher order deformation theories. J Sound Vib 2001;246 (1):47–62. Mantari J, Canales F. A unified quasi-3D HSDT for the bending analysis of laminated beams. 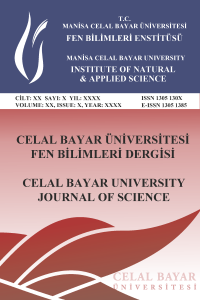 Aerosp Sci Technol 2016;54:267–75. Kant T, Marur S, Rao G. Analytical solution to the dynamic analysis of laminated beams using higher order refined theory. Compos Struct 1997;40 (1):1–9. Aydogdu M. Vibration analysis of cross-ply lamina-ted beams with general boundary conditions by Ritz method. Int J Mech Sci 2005;47(11): 1740–55. Aydogdu M. Buckling analysis of cross-ply lamina-ted beams with general boundary conditions by ritz method. Compos Sci Technol 2006;66 (10):1248–55. Aydogdu M. Free vibration analysis of angle-ply laminated beams with general boundary conditions. J Reinf Plast Compos 2006;25(15):1571–83. Mantari J, Canales F. Free vibration and buckling of laminated beams via hybrid Ritz solution for various penalized boundary conditions. Compos Struct 2016;152:306–15. Karamanli, A. “Bending analysis of composite and sandwich beams using Ritz method”, (Submitted for publication).